Download a free copy of the new catalog now! Have you ever said, “One day I’ll sign up for Paper Pumpkin.” Today is that day! 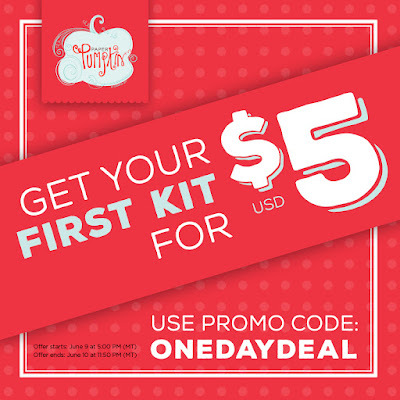 Use promo code “ONEDAYDEAL” at PaperPumpkin.com and get your first kit for just $5 USD. Visit PaperPumpkin and see some of the recent kits to see the variety these kits offer. Get ready for a flash sale! Starting at 5:00 PM (MT) on Thursday, June 9, get your first Paper Pumpkin kit for only $5 USD. Don’t miss this one! What does a Paper Pumpkin kit look like? Here's a video of a sample kit. You get the stamps and project instructions and ink, envelops and embellishments! and other items to complete the kit. Different types of projects and different contents every month. 4) It ships free. The price you pay includes shipping! So if you're new to Paper Pumpkin, today is the day to try it. Still need a copy of the new catalog? Download a copy of the new catalog right now for FREE. Don't want to wait for the catalog to download? No problem! Shop all of the new items from my on-line Stampin' Up! store. Get two stamps sets free! Purchase the $99 starter kit to get $125 worth of products that you select from the catalog AND you can pick an additional two free stamp sets from the catalog, PLUS you receive a free Paper Pumpkin kit (worth $20)! That's approximately $245 in merchandise for $99, plus free shipping. What a great way to fill your paper crafting wish list from the new catalog. From June 1-30, 2016! See page 196 of the new catalog for product ideas for your kit. Learn more here. Hobby stampers are welcome to sign up too! If you simply love crafting and want to get the kit and enjoy at least 3 months of demonstrator discounts (20% or more), and great "how-to" resources, this is a great deal for you!! There’s no risk; no obligation to purchase anything further; and no penalty to drop! Why not give Stampin’ Up! and me a try. Select items you want in your $99 Starter Kit here. Want to purchase at a discount? 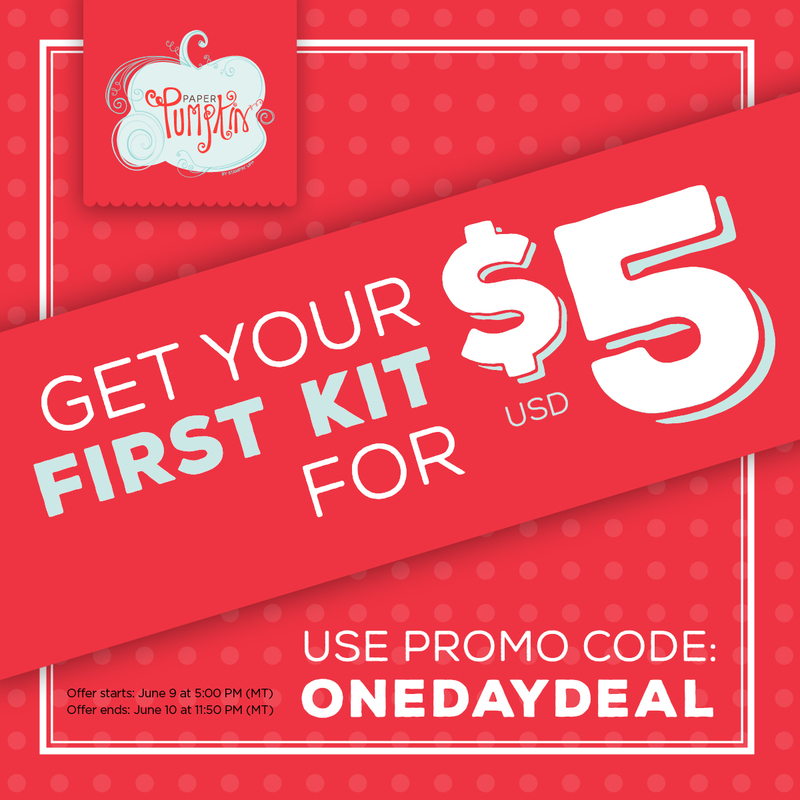 Sign up for $99 and get $125 worth of product in your starter kit plus two free stamp sets. Then enjoy your future purchases at demonstrator discount prices of 20% or more.